Moving overseas. Going through old junk. Gave away my scanner so it'll be photos for a while. 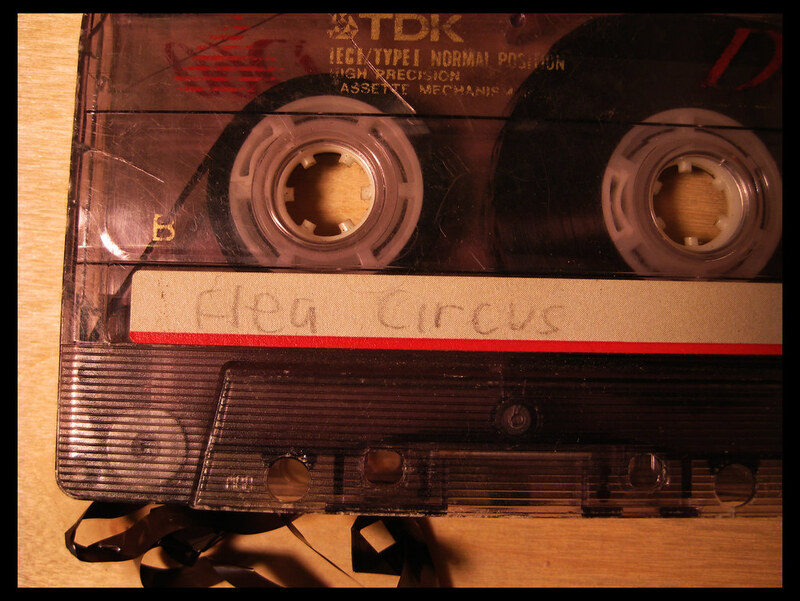 My band in High School was called Flea Circus. This broken tape is going in the "keep" pile. Maybe I'll find a way to fix it one day.